When Asus unveiled a nameless 7″ quad-core powered tablet at CES this past January that would retail for $249, they not only caught our attention, but more importantly, Google’s. According to a handful of Asus execs that sat down with Forbes, a meeting with Google after showing off their cheap tablet design is what kick-started a 4-month whirlwind project that eventually became the Nexus 7. According to Benjamin Yeh, the head of Asus UK, there was team and engineer swapping from both companies, supply chain partners contacted, and a massive group effort to get the job done in such a short amount of time. Our top executives met Google’s top executives at CES to talk about opportunities and how they saw the future market. 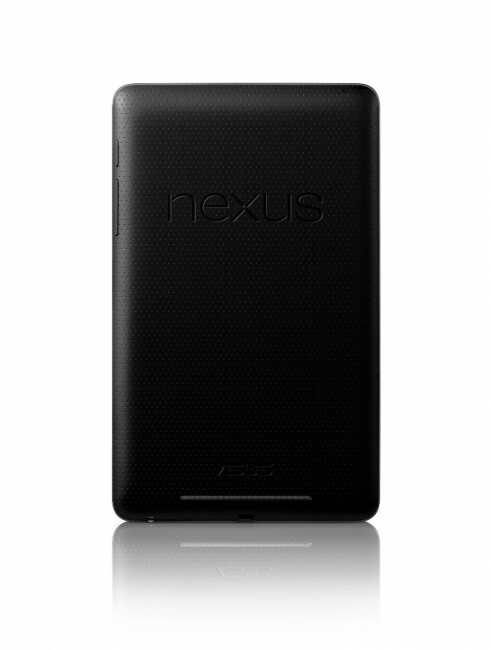 That’s when we came up with the idea of the Google Nexus 7 by Asus. That was in January, and mass production started in May. So, that was four months. For a mass-market device, from concept to mass production, we’re talking about six to twelve months. Six months is very tight. Immediately, we sent a complete design team to Mountain View, to work with Google. Google also sent seven engineers to Asus to work on the project as well. So, that’s what we had in the design team – and then there were our partners in the supply chain – key components and so on. Everyone was excited about the concept, but we needed to work together to get it through the supply chain. And it wasn’t just Asus and Google who were excited – our suppliers were too. Everyone wanted to be part of the game! Once the hardware and software was starting to come together, both Asus and Google looked for ways to improve it even more. How good would a 7″ device be if it weighed as much as a brick and was as thick as textbook? In order to keep both of those specs down, they created a new LCD design called Asus TruVivid, that involves less glass, to not only make for a thinner device, but to improve the user experience as well. The device had to be thin and light, with a weight under 340 grams. So to get that lightness, normally the CPU would be small [low-powered]. But to get media playback, and particularly high definition media, the processor has to be powerful. The strong CPU in a very small space is difficult. And also the screen: you want it to be very responsive and also to have multitouch . So normally the LCD should be thick. So, for the LCD module, we used a special design, which we called Asus TruVivid. That is actually two technologies together – the first is a one-glass solution, and the second is lamination. The traditional way to make a tablet touchscreen actually uses four pieces of glass. You have the LCD back panel, then the back glass and front glass, with the liquid crystal in the middle. On top of the front glass you have the touch sensor glass. And then on top of the sensor glass you have the protective glass. So with the one glass solution, we put together the protective glass and the sensor glass. So the sensor is just a film attached to the glass, to make it thinner. And that also makes it lighter. Yeh also talked about optimizing for extended battery life without tossing in a massive battery. Thanks to the Tegra 3 quad-core processor and all sorts of software tweaks, the Nexus 7 rates at around 9.5 hours on a single charge. In the end, Asus, Google and their supply chain partners created a device from concept to final product in about 4 months. The normal time frame for a device like this would be closer to 12 months – 6 months would really be pushing it. So not only did they create our favorite Android tablet to date (our review), but they did it in record time.